On some levels, the idea of this sample collection is a little strange, because what we're dealing with here is, essentially, samples of a sampler: a collection of samples taken from a Fairlight Series IIx. Among the many included is a selection of patches from various synthesizers of the time. Why, then, would we want to use (by today's standards) lower‑quality samples of, say, a Roland JX synth, when there are many sample libraries available that have 16‑bit or even 24‑bit samples of the same instruments? The answer to that question is really the justification for the very existence of a library such as this. The fact that the Fairlight was limited in many respects is the reason why we would want these samples. The sampling system is only 8-bit and the maximum sample frequency is only 32kHz, but this tonal character and dirt gives the sounds that the Fairlight generates quite a unique tone in today's super‑clean digital world. There may be some of you out there thinking you could simply take clean samples and run them through some kind of bitcrusher‑type plug‑in and get a similar effect. However, the truth is that this rarely works as you would hope! There are certain pieces of hardware that simply seem to possess a kind of magic. 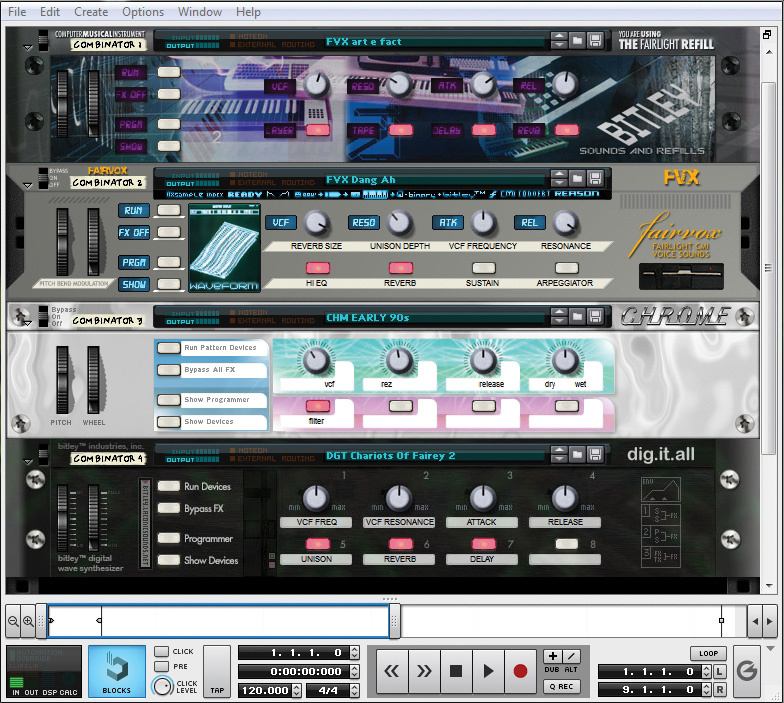 Moving on to the actual samples themselves, most of them are based on the original factory library of the Series IIx and, perhaps unsurprisingly, loading up almost any of the patches in Reason's NNXT sampler instantly transports you back to the early 1980s. Many of the sounds are so immediately recognisable that I found myself playing (badly) a selection of the tracks I remember from that era and being surprised at just how much the Fairlight contributed to the music of the time. 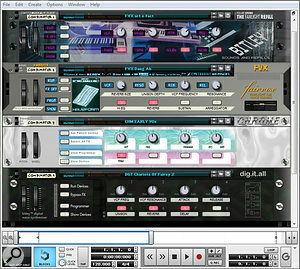 In addition, there are some Fairlight DSP‑created sounds as well as some layered and resampled sounds.